Wage and hour litigation has increased substantially in recent years. More than ever, employers are seeing more class and collective actions under the Fair Labor Standards Act and similar state laws. The financial impact of such lawsuits on businesses can be significant, sometimes even debilitating. Accordingly, it is important for business owners, executives, corporate counsel, and the attorneys who work with them to understand the potential impact of noncompliance with federal and state wage and hour laws, the types of claims businesses may face, and how to identify potential compliance issues to mitigate risk. 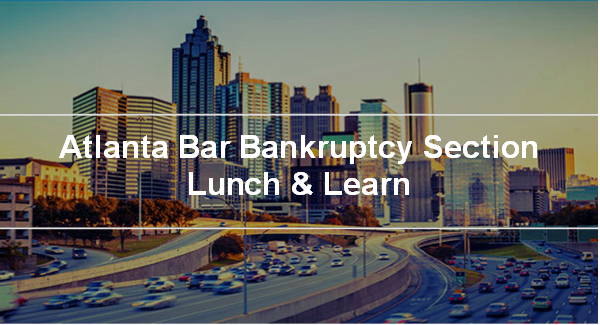 On January 27, 2017, Kabat Chapman & Ozmer LLP’s Nathan D. Chapman will be a panelist on the Atlanta Bar Association’s Joint Labor & Employment and Bankruptcy Sections’ luncheon. The purpose is to discuss compliance with the Fair Labor Standards Act and similar state laws, and the impact of noncompliance, including (for example) litigation risk associated with class and collective actions. The panel will also discuss such hot topics as worker classification and misclassification issues, joint employment issues, and the validity of employee class and collective action waivers in the context of how those issues may affect businesses that are contemplating or in bankruptcy. This seminar is ideal for labor and employment and bankruptcy practitioners, in-house counsel, and human resources professionals. Registration is still open for this seminar, which is scheduled for 12 pm to 1:30 pm on Friday, January 27, 2017. If you are a member of the Atlanta Bar Association’s Labor & Employment Section or Bankruptcy Section, you may register by clicking here. For non-members, please click here. Follow the Section’s activities on Facebook and Tweet live from the event using the hashtag #atlbarbankruptcy.